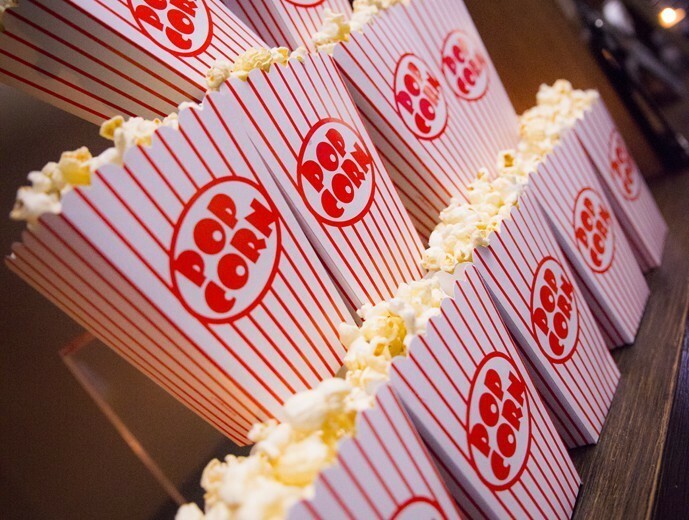 We were tasked with bringing Sunset Boulevard to London; to create an immersive Hollywood themed thank you party for Compare the Market’s Meerkat Movies team. 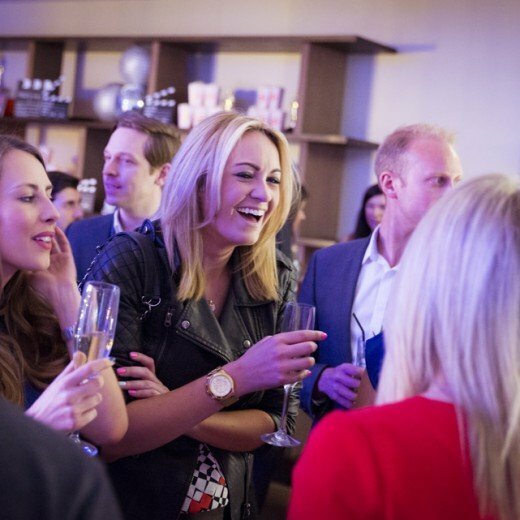 Staff of Compare the Market were treated to a night in Hollywood in April, as we transformed the Haymarket Hotel for one night only. 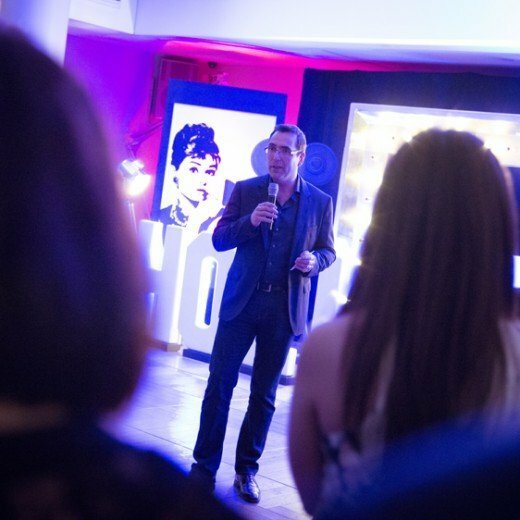 Celebrating the success of the company’s recent campaign, the Hollywood-themed party took inspiration from elements of classic Hollywood cinema, on-screen icons and modern-day blockbusters. 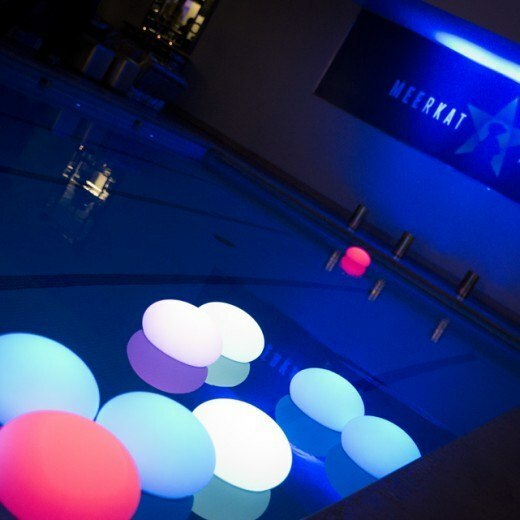 The stage was set at the Haymarket Hotel’s indoor swimming pool and bar – a striking backdrop just waiting to be given the Mask treatment. First impressions count. Two giant Oscar statutes stood at the red-carpet entrance to the venue, setting the scene for a night in Tinseltown. 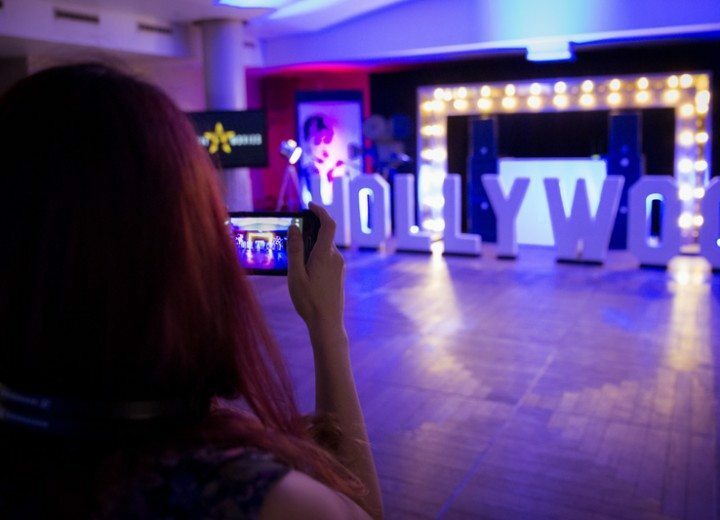 Upon arrival guests had their moment in the limelight, striking a pose at the step and repeat board, before they ventured inside for the full VIP experience. 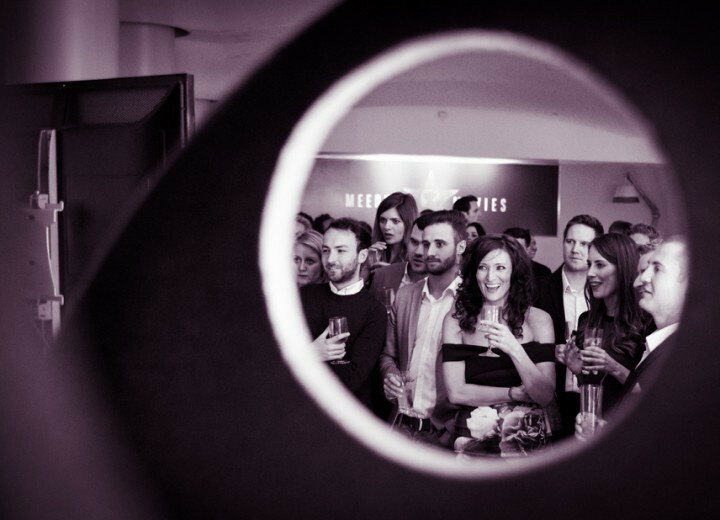 Once inside guests were taken aback by an immersive Hollywood experience. 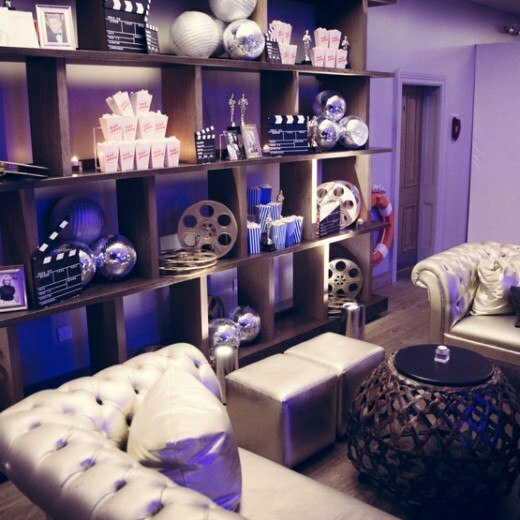 Silver framed prints of iconic screen sirens stood beside vintage clapperboards, film reels, Oscars and popcorn buckets. 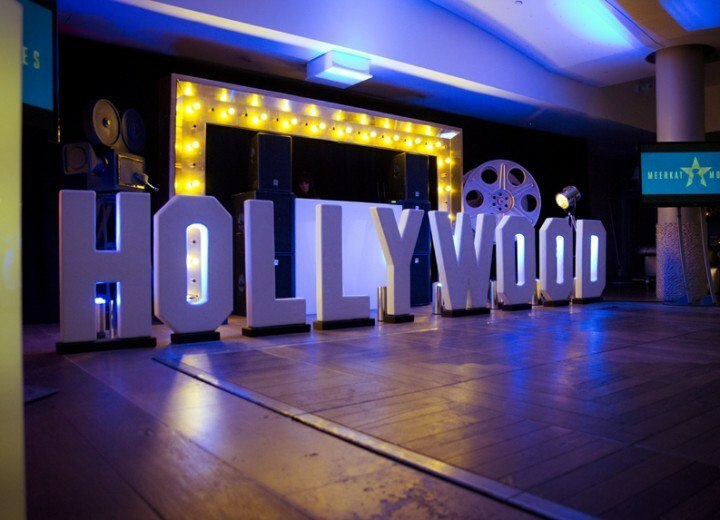 As a nod to the American cultural icon of the Hollywood Hills, a smaller version of the 45ft tall Hollywood sign stood in pride of place by the dance floor, flanked by giant film reels and bright lights. 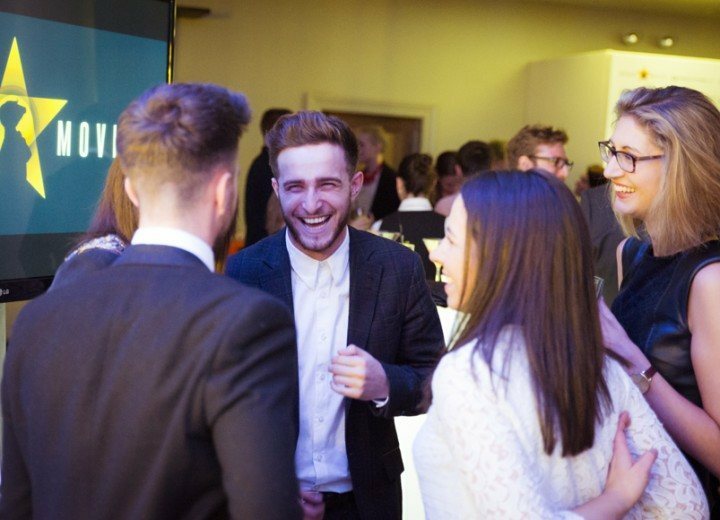 Here guests celebrated their successes, dancing the night away to the sounds of our DJ.